Reading Long U words has never been more fun with these super cute Breaking News graphics! This game focuses on words with Long U patterns. 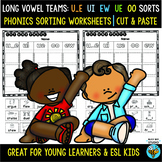 You will find u_e, oo, ew, and ue long vowel patterns featured in the game. 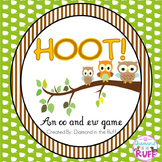 You may want to preteach the oddball word *duet* to your students before playing. 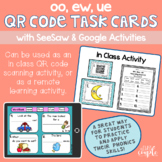 Need a new fun way for your students to practice words with /oo/ sound? 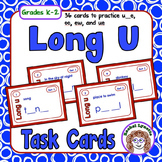 This packet includes over a weeks worth of Word Work activities for students to do. 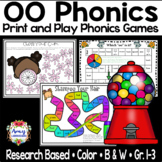 There are multiple word sorts, practice sheets, game pages, ABC order, and more. It reviews words with ui, ue, oo, ew, and oe. 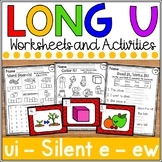 Also included in: Long Vowel Worksheets Bundle (Long a, e, i, o, u) - NO PREP literacy centers! 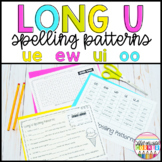 In this Valentine's themed activity, students will read words with three spellings for the long u sound. They will sort the hearts on the work mats and will use the recorder sheet to organize the words used in this center. 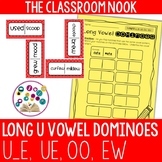 These are perfect quick worksheets that cover the vowel digraph spellings: u_e, oo, ue and ew. Included are two word searches, two abc order sheets, two unscramble sheets and two fill-in-the-blank sentence sheets.